Now that all my shows are back on, I’m doing the standard culling – this girl only has time for so much TV, in between Junior League and Gilda’s Club and work and family and trying to have a social life. So, here’s what has made the cut for me this year. Scandal – I can’t say how disappointed I was when I met the “real” Olivia earlier this year, but I’m still addicted to this show. It’s seriously West Wing meets Grey’s Anatomy. But better. And did I mention that one of my managing partners watches this? And he’s a dude. It’s that good. Law & Order: SVU – I have a cat named Benson. Need I say more? Oh, and the fact that there are countless old episodes are hulu doesn’t hurt either. Grey’s Anatomy – Watching Grey’s is like wearing leggings. It’s just comfortable. But I can’t say how much longer I can hang in there after the key characters leave. Sandra Oh is out after this season. Sad. I’ve also picked up House of Cards and Orange is the New Black on Netflix. I know these aren’t anything new, but they are new to me. Plus, Netflix just makes it easy. Kevin Spacey so far in HOC is amaze-balls. What’s not making the cut this year? Anything on CBS. The network makes it way too difficult to watch shows. I can’t watch on my iPad, and it doesn’t interface with my appleTV. So by default, these ones are OUT. Unless I get desperate, and run out of new episodes of my other favorite shows. Not having cable or a DVR really adjusts the TV plan…but is cost-efficient. What are you all watching this year? Friday Find: CakeryPapery in the wild! So I had a fairly life-changing moment the other day when I was seriously stalking casually perusing the Pinterest wedding category board. Back to my life-changing moment. I saw my glitter mason jars! Pinned by a random pinner that I don’t even know! 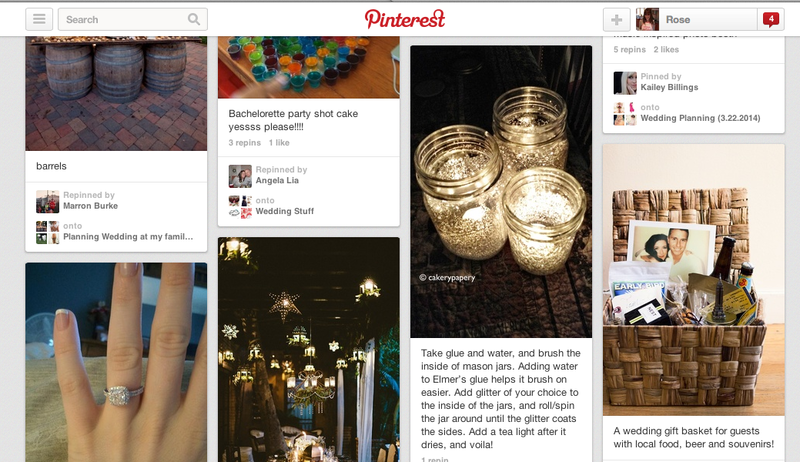 My photo and my mason jars – randomly on pinterest! Follow that up with the fact that one of Home Depot’s official pinners (yes, the Home Depot) commented on my glitter jar post and then pinned it to the official Home Depot DIY Wedding Pinterest board! 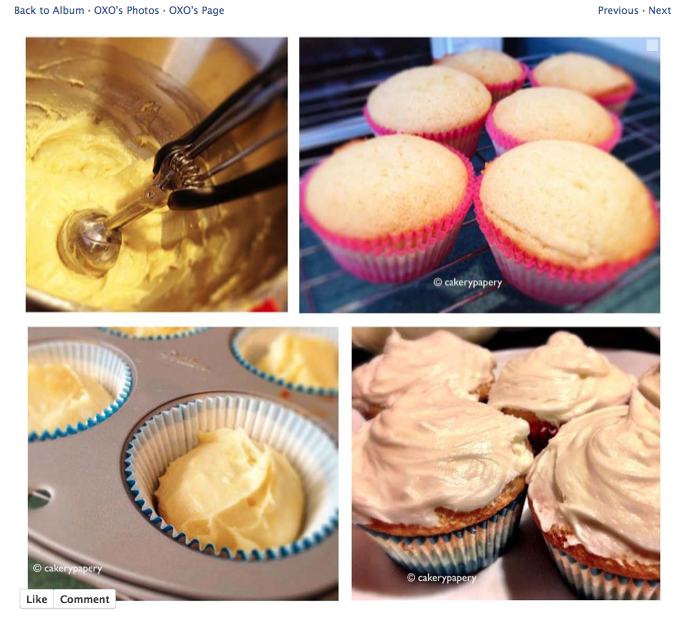 And then cp-bf reminded me that back in March, OXO (yes, the makers of all things good in kitchen utensil-dom) had created a facebook collage of my lemon chiffon cake recipe! Freaking 1,326 likes and 105 shares! Let’s just say it was a pretty cool moment. It’s been just over a year since I started this blog as an outlet for my creative life, my mess of a dating life, and just a way to share the daily hilarity that is cakerypapery – and never did I think I would still be at it a year later. So thanks to all of you who follow this blog, pin my posts, read my random musings, and make me enjoy this whole cakerypapery alter-ego thing. So I love cake. Like, literally love cake. And Tiffany’s. 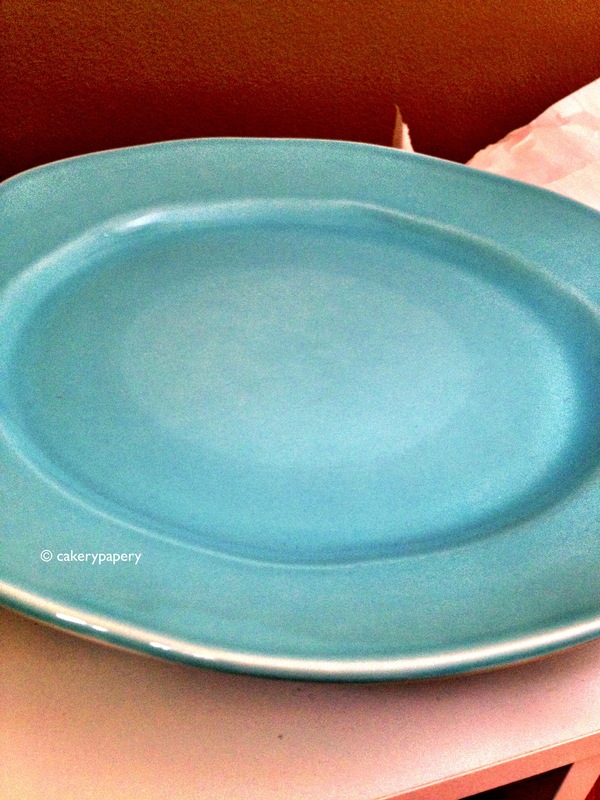 And cake plates. And any sort of project that involves hot glue. Saving the world, one hot glue gun burn at a time? I like to think so. 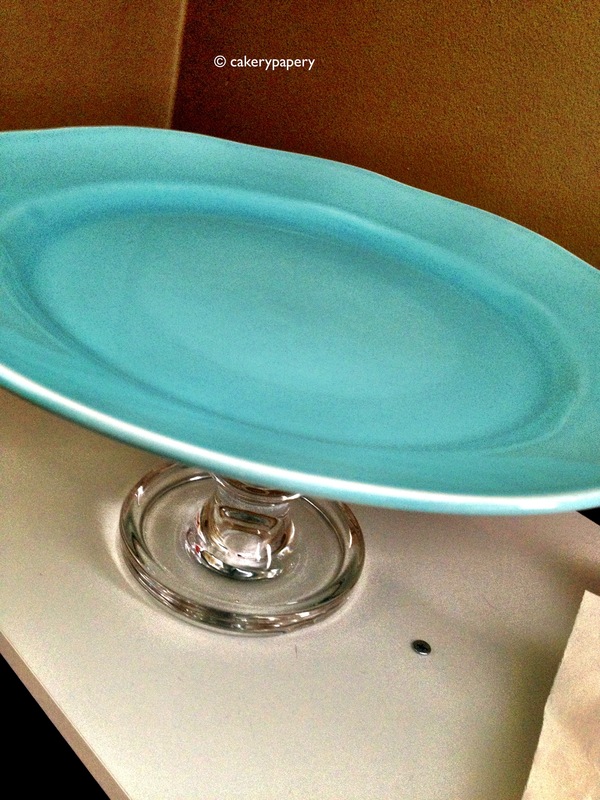 When my bff was in town this weekend, we whipped up this DIY tiffany blue cake stand. 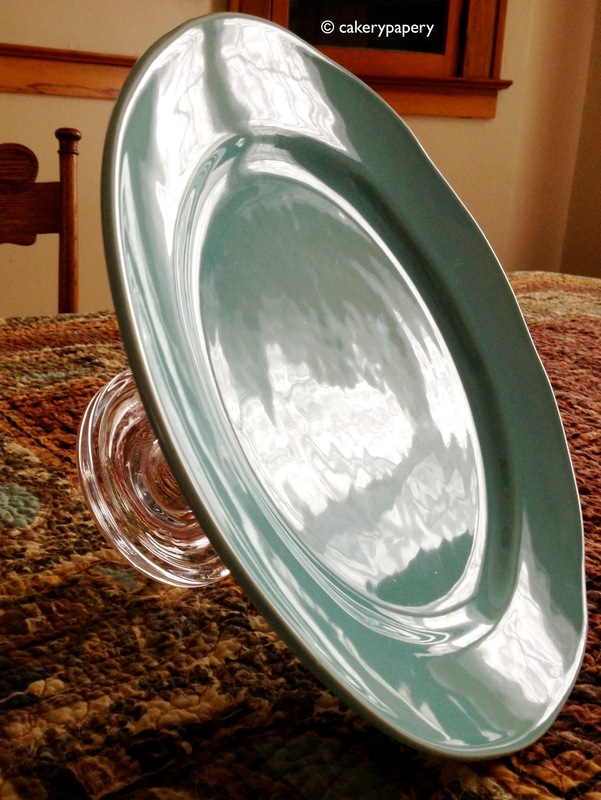 The base is a candle holder, and the top is a dinner plate. 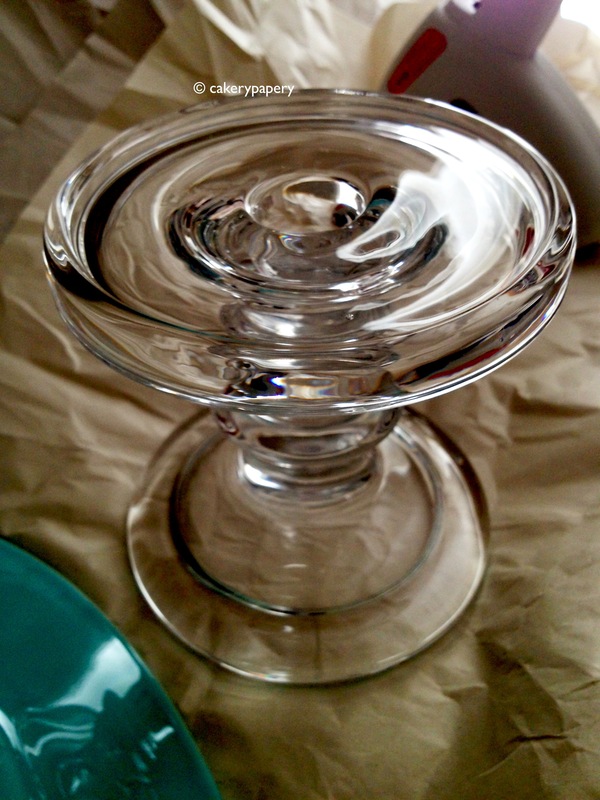 I was a “maxinista” (#shamerattle) and procured both of these items for less than $10. 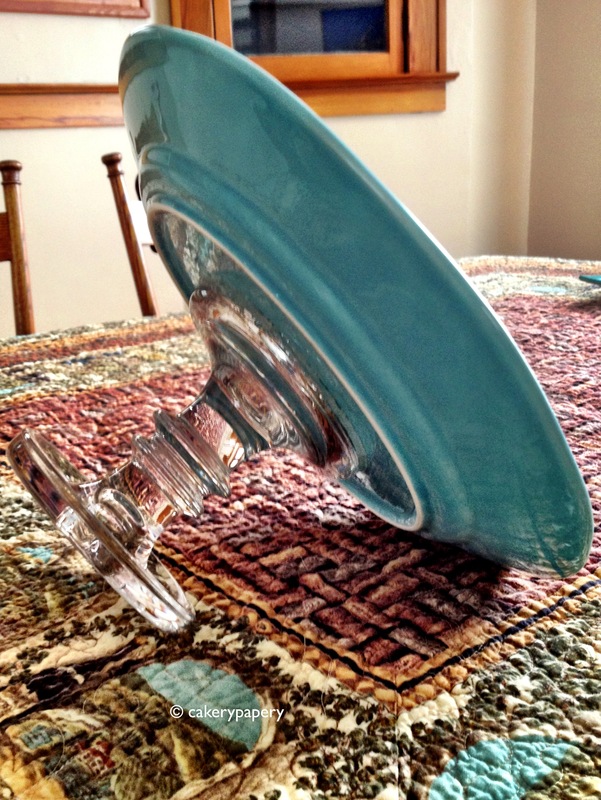 Add a little hot glue, and you have a cake stand. Seriously, I could give the chick who made the ‘redneck wine glasses’ a run for her money with these. Now, all I need is some cake. In Pursuit. Of a Suit. And Margaritas. I need a new suit. And not the interview kind. The swimsuit kind. You see, I’m going on this trip. To Mexico. With my dad. To scuba dive. Or so I thought. Until I put on my BC (the vest part of scuba gear) in my bikini and basically flashed my immediate family in our backyard. Also not cool? Stripping off a full body covering of wet neoprene after a dive and flashing the ENTIRE DIVE BOAT. I’d like to avoid that, please and thank you. So now I’m on the hunt for a swimsuit that has enough coverage that I don’t risk exposing myself to Jorge the dive guy, and lacks enough coverage so I can still get a tan. And…my current willingness to pay for said swimsuit is max $40 as I will ruin it with a week of saltwater, sunscreen, and Mexican sun. Easy, right? Riiiiiiiiiiight. 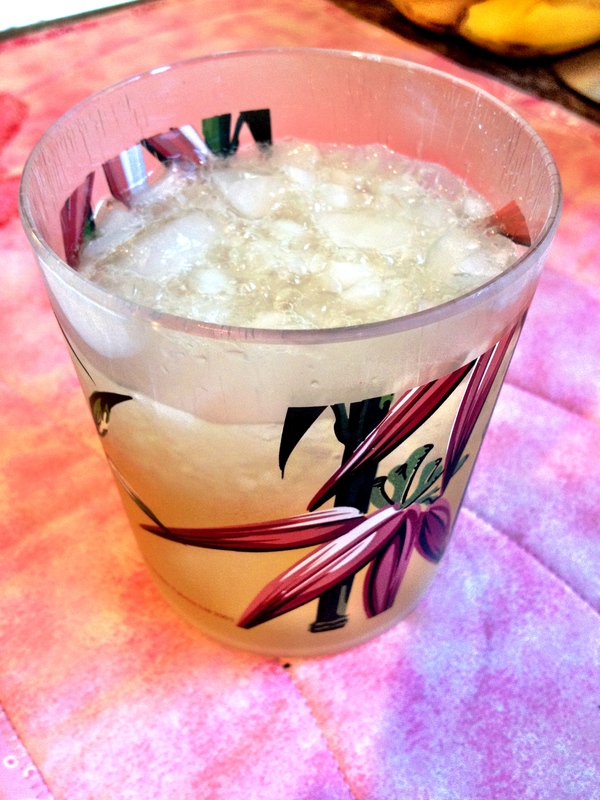 Given how challenging this sounds…when I thought about it this past Sunday…we decided to make frozen margaritas instead. Yum. And by “we” I mean Big Kev and by “decided” I mean that I mentioned margaritas incessantly until one appeared. 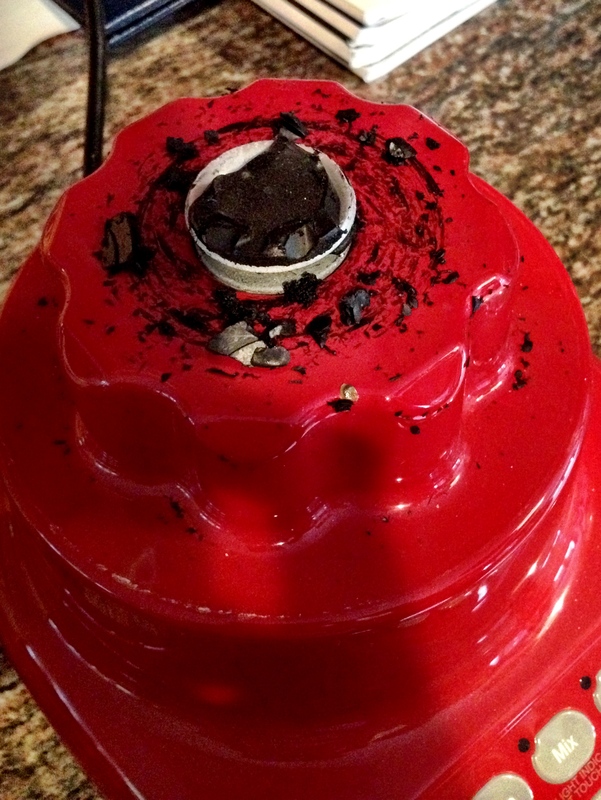 And then we broke the blender. But that’s a story for another day. Pour the frozen Bacardi mix into a blender. Use the mix container to measure 1 can of tequila and 1/2 can of triple sec. Add both to the blender. Add in some superfine sugar and lime juice to test. Blend together with ice. So I started the summer off with a pretty big bucket list of “to-do’s,” since summer lasts about five minutes in Rochester. Refresh and reorganize my porch: In progress. Deck scrubbed (goodbye beer pong stains), glider chair assembled, new chairs purchased on sale at Chez Target. I even ate dinner out there on Sunday night. Now, I just need to get some good lighting and outdoor candles. Run a half-marathon: Completed. Ran the Shoreline Half Marathon on July 21. Train for a full marathon: In progress. Officially signed up to run the Corning Wineglass on September 30. Take my niece to the zoo: Planned. Hoping to take my niece and my beautiful goddaughter to the zoo at the end of August. Get a really nice tan: Ehhh…it’s been raining and cloudy on Sunday for the past month. Hoping for better luck this weekend. Spend one full Sunday each month doing nothing: In progress. It’s hard to do. Honest. Visit my college roommate: Just returned from a visit with my grad school roommate. Does this count? Become really good at piping frosting: Haven’t piped frosting in weeks. Shame rattle. Make a twelve-layer cake: I still have time, right? Host a cocktail party: Check. Clean out my closet: Who am I kidding with this? I’m a hoarder. Craft one item per month off my “DIY Wow List” pinterest board: Just file this with the twelve-layer cake. Lose ten pounds (and hopefully never find them again! ): Not going so well. I’ve been eating lots of cake. And boozing like a fish. Must work harder at marathon training. Write on my blog at least three times a week: I am such a blog slacker. And I was doing so good for a while there! There is a reason I’ve been slacking, and it’s not work, I swear! It’s that now I’m cakerypapery, girlfriend. Yes, you read that correctly…it’s a bit scary but really exciting and new and fresh. So, the first day of Fall is September 22. Which leaves me just about 40 days to finish up the list. Here’s to having fun trying! Soooooo many who know cakerypapery in real life know that I am smitten with Birchbox. 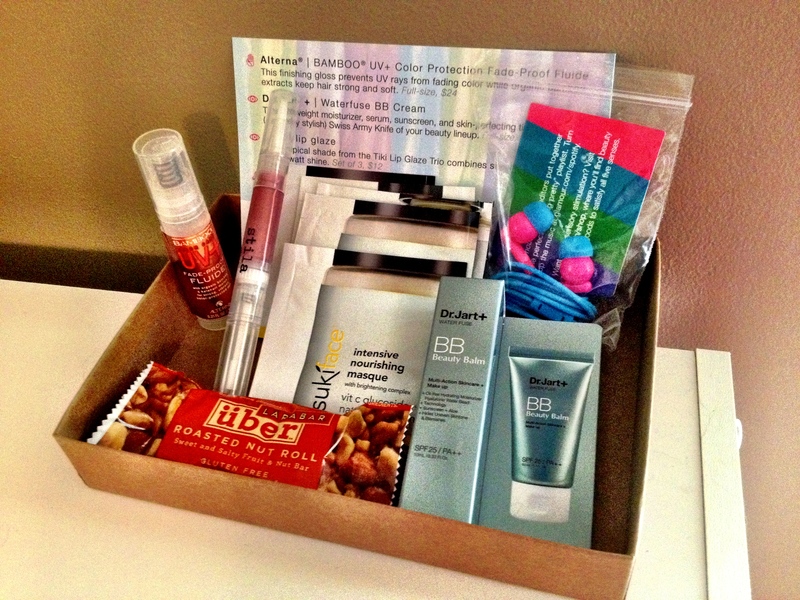 As we all know, I’m a sample fiend, so Birchbox is perfect for me. At this point, you’re probably saying…”WTF is a freaking Birchbox?” and if you’re not saying that, you already know. For $10/month, you get a delightful box of high-end beauty samples delivered to you. And not just the small pillow-pack samples. Legit regular size ones. Each box has five different things, and (with the exception of June) it’s always really good stuff. I’ve gotten everything from nail polish to headbands to the most amazing smelling perfumes. Take this month. 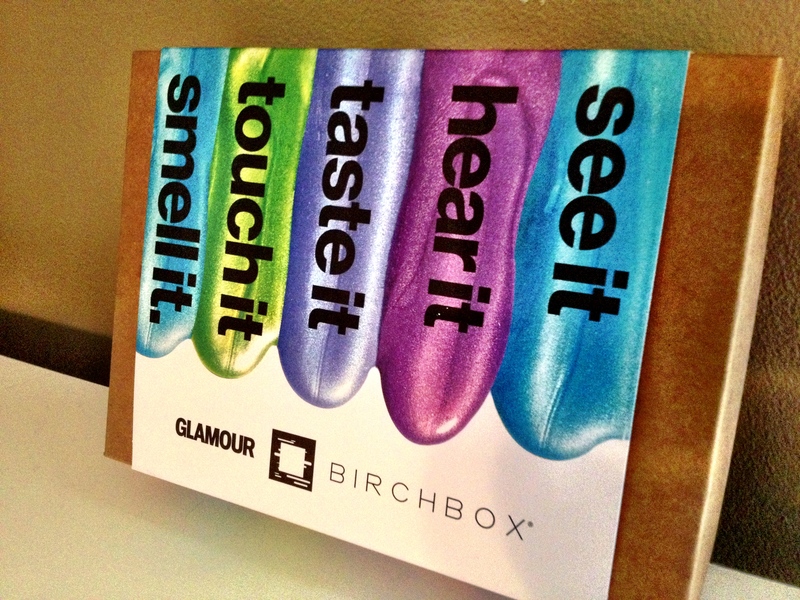 The Birchbox was sponsored by Glamour, which meant it was super amazing. (Sponsored BB’s always have awesome stuff inside). Hair UV protector oil: Might not use this right away, but planning to save it for the next time I get my hair ombre’d. Stila lip gloss, full size: I already have this in a different color, so super stoked to try the darker one. BB cream: Need I say more? Granola bar: Yea..this is a bit weird, but go with the flow, right? Mini-skin care sample pack: There are far too many steps in this, but I’ll give it a try. Hot pink and blue headphones: LOVE. The two products I am most excited for are the BB cream and the Stila lip gloss. 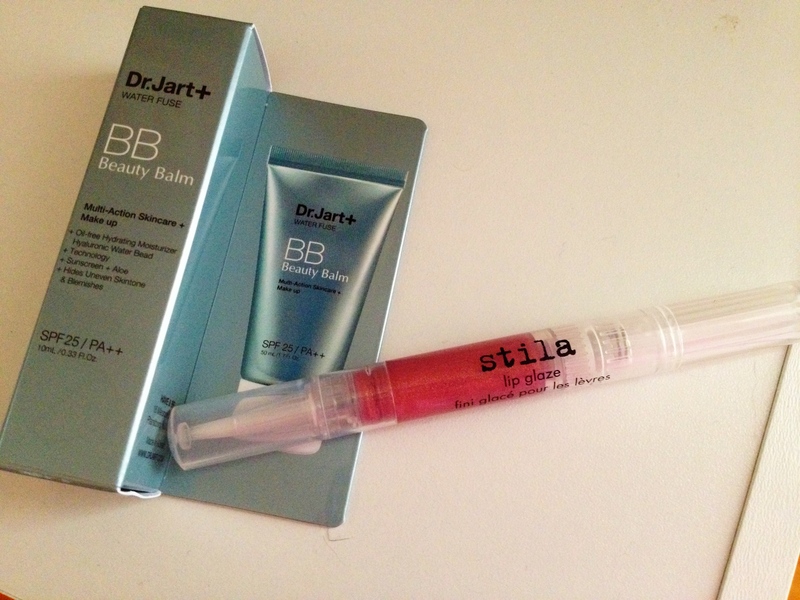 I’ve been wanting to test out a BB cream for a while, and I love Stila products, plus I know I love the gloss already. Given that the gloss retails for $22, I’ve definitely gotten my $10 worth out of this Birchbox. If you want to check out Birchbox, or want to join, click here. BB is roughly the price of two lattes—and its way better than a latte. And for the men out there, Birchbox Man is in beta–it’s $20/month, and has everything from shave creams to cashmere socks. 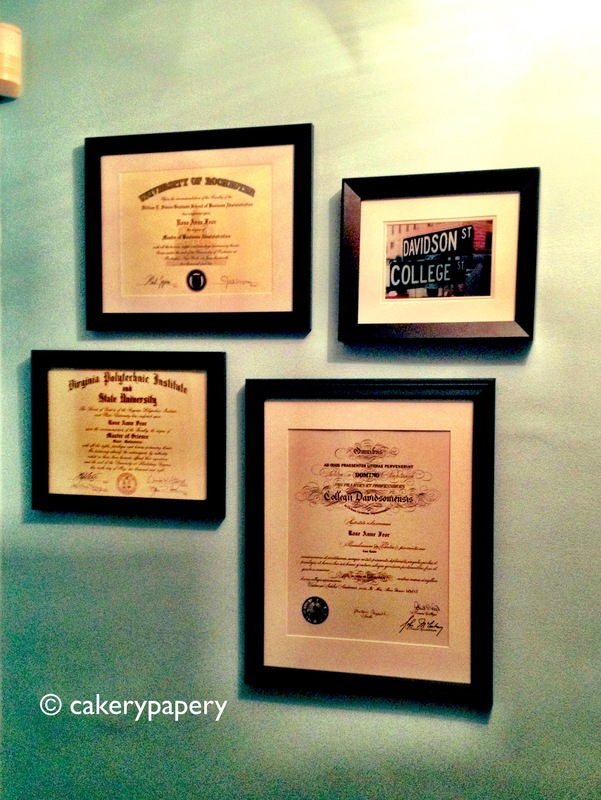 So I’ve got these college diplomas. 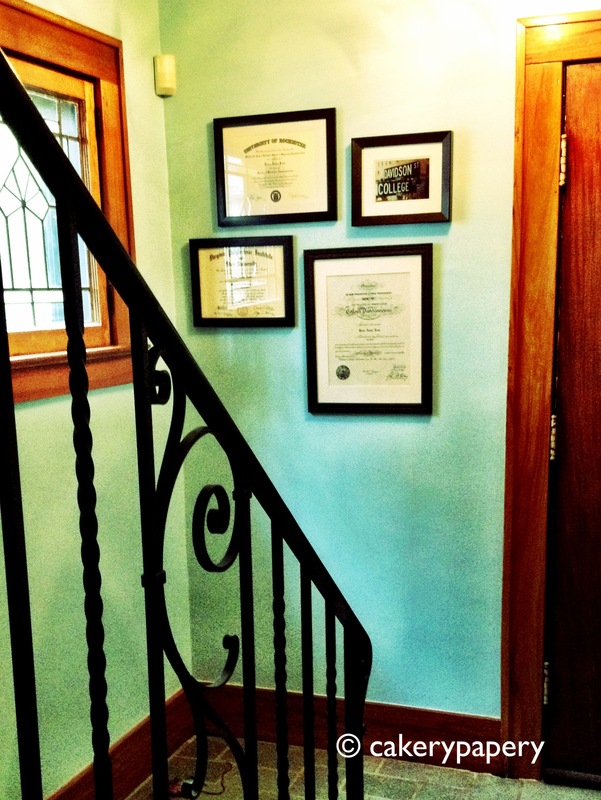 Yes, diplomas. As in more than one. 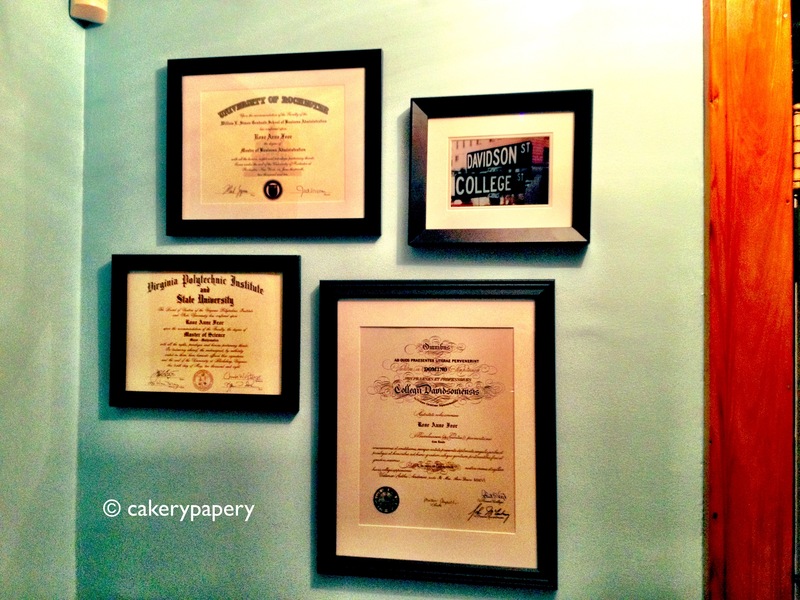 I’ve always wanted to showcase them, but like any mature adult, my diplomas lived in a safe place, you know, like the tube in which they were mailed to me. Everyone said I should hang them up at work, but since I’m a cube-rat, that didn’t strike me as a smashingly good idea. So I had a lot of wall space to fill. Which brings me to this delightful frame collage. Of college diplomas. Making things look purposefully yet not purposely arranged is actually quite hard. Technically, I believe its called making a “gallery wall.” And yes, I have multiple degrees but still find things like hanging pictures difficult. First, I had to actually find frames that fit everything. And then wait for said frames to go on sale and/or have a coupon. Because I refuse to buy anything without a coupon. Next, I laid them all out on the floor and arranged until I had the frames just so. Then, I called in back-up for a second opinion. So, how do you get the photos from the floor arrangement to the wall without messing up the arrangement? Simple. Look it up on Pinterest, because Pinterest tells you how to do everything in life. You flip the photos over, lay out wax paper, mark where the picture hangers are, then put the wax paper up on the wall and nail in the wall picture hangers. You can see the pin where I first saw how to do it here.